Fellow, The world Academy of Sciences, Trieste, Italy. Fellow, Indian National Science Academy, New Delhi, India. Fellow, Indian Academy of Sciences, Bangalore, India. Fellow, The National Academy of Sciences, Allahabad, India. J.C. Bose National Fellowship of DST, Goverment of India (2012-2017; 2017-2021). Professor S.K. Sinha Memorial Lecture Award of the Indian Society of Plant Physiology for the year 2017. Birbal Sahni Award Medal of the Indian Botanical Society for 2017. Shri Ranjan Memorial Lecture Award (2014) by The National Academy of Sciences, India. Street Memorial Lecture Award for 2013-14 by the Plant Tissue Culture Association (India). 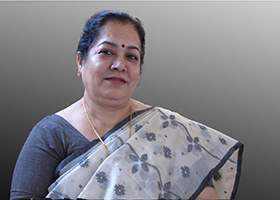 Prof. Archana Sharma Memorial Award, Indian Science Congress Association, 2011-2012. Bharat Ratna Rajiv Gandhi Mahila Shakti National Award-2013, conferred by: Academy of Grassroots Studies and Research of India, in collaboration with: Rajiv Rural Development Foundation, Tirupati. Certificate of Honour, Gantavaya Sansthan on International Women’s Day, 2011.